On the second season of his return, Kimi Raikkonen’s enigmatic exterior could crack with a smile or two as the Lotus man gets a hang of things once more in Formula One. When you think of the moniker ‘Iceman’, many characters come to mind. There’s Steve Waugh, the former Australian captain whose calmness under pressure was the stuff of legend. There’s Bjorn Borg, the Swedish tennis player who was so unperturbed at all times it was thought he had ice in his veins. Iceman is also the name given to an X-Men character – one of the original four to debut in 1963. Bobby Drake became many things but started out in that first comic as a snarky, boyish individual who would also turn into a melodramatic Romeo figure whenever his relationships came to their inevitable end. Today, Raikkonen is one of the few public figures who embodies the true meaning of the word. To use another term from the world of comics, the Finn prefers to live in his own internal fortress of solitude. Many fans often mistake this aloof demeanour as being something characteristic of a ‘bad boy’ attitude but Raikkonen is not one to put on any such airs. If he did not wish to carry out small talk with Fernando Alonso or Sebastian Vettel after winning the Abu Dhabi Grand Prix, it wasn’t because he wanted to send any message – it’s just that he didn’t care to make small talk. His berating of engineer Mark Slade over the radio with the now iconic “Leave me alone, I know what I’m doing” during that race was not done to extract chuckles from the watching TV audience. Instead, he just wanted it known that he was being distracted by the chatter on his earpiece. Just like how you wouldn’t disturb a live orchestra by talking on the phone, Raikkonen’s driving demands respect and can only be interrupted with useful information. Heck, even his media interviews are often curt and brief for the same reason as he does not feel spouting nonsense into a microphone will be of any use. For example, he said, “I couldn’t care less what that man thinks” when asked for a response to Fernando Alonso’s comments about him at a Ferrari event in 2007. What all this means is that Raikkonen, amusing as he may be for most of us, should be taken very seriously as he embarks on a second season in F1 since returning from a two-year sojourn away from the sport. The 33-year-old, who split up with wife Jenni Dahlman last month, did remarkably well to finish third in the standings last year and can be expected to do better than Michael Schumacher did in his second comeback season. Last season was a turning point for the Enstone marque on the track and in the factory. The won their first Grand Prix since 1987 and are the only team to possess the ‘double-DRS technology’ after Red Bull’s invention was outlawed in July last year. It’s a formidable setup capable of competing with the big three. Moreover, team principal Eric Boullier has forged a good understanding with Raikkonen, reeling him in whenever he went off on a tangent even if it meant an off-course drive in Brazil. The trick to managing Raikkonen is accepting that the former Ferrari driver bristles under criticism, even if he doesn’t show it on the surface. He responds to the emotional weight of words as opposed to the rationale behind them and Boullier seems to have found a way to get the former world champion to take suggestions in the spirit that they’re meant. Notice his comments on the Formula 1 website last month on what managing the free-spirited driver is like: “You clearly have to draw a line. “To be honest he is not difficult to manage, but you have to make the engineers understand and respect his way of thinking and behaving. “He might have his moments sometimes, but it is up to us to adjust what we want to achieve to his style rather than the reverse. I probably prefer to switch the team to the style of Kimi. 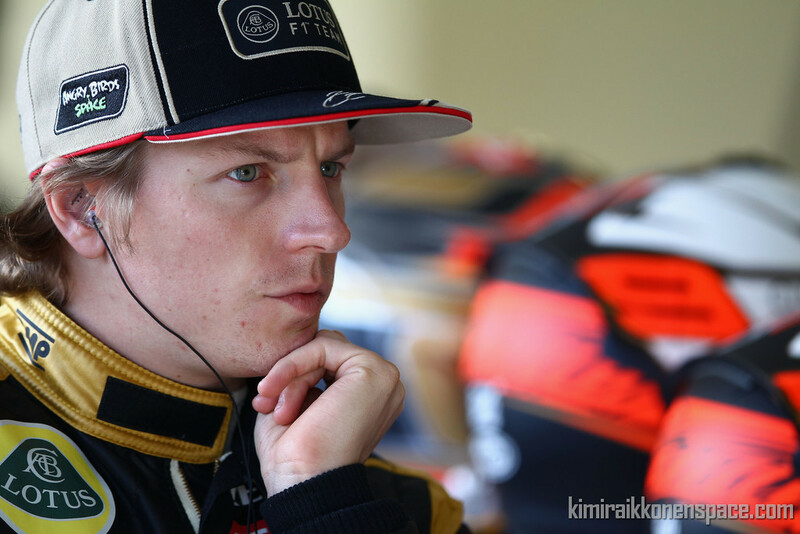 “No, [Kimi is not king at Lotus] because at the same time I don’t want to have a spoiled character who is probably leading the team in the wrong direction. A big difference that top managers in the world of sport regularly deal with in talented yet tempestuous individuals – Sir Alex Ferguson has done it with Wayne Rooney, Jose Mourinho with Cristiano Ronaldo and perhaps most famously, Mike Brearley (as captain, not manager) did it with Ian Botham who then went on to destroy Australia in the 1981 Ashes. Simultaneously, the Lotus team did a brilliant job on the technical front as their E20 machine was remarkably kind to the tyres. The car rarely suffered tyre degradation, allowing the Finn to complete all his races; quite a feat when considering how chaotic the previous season actually was for all the other cars. Team-mate Romain Grosjean would love such consistency given that he was to blame for pile-ups at the Spa-Francorchamps circuit as well as in Suzuka last year. Probably because of all the shenanigans, Boullier made the Frenchman sweat for his second season confirmation – he only got it two months after Raikkonen was confirmed and a whole month after the completion of the season. Having been left to stew for so long, Grosjean will likely be happy to play second fiddle and will be ready to do his best to support Raikkonen if the senior driver is in a position to make a serious bid for the title. At least that’s what Lotus will be hoping for. The importance of having a strong support driver cannot be underestimated as McLaren struggled with having to balance two title contenders even as Red Bull’s Mark Webber and Ferrari’s Felipe Massa did an admirable job on the circuit to boost their team-mates’ chances of winning the final races of the season. Can Raikkonen really make a bid for the title? Realistically speaking, the answer is no. Raikkonen obviously possesses top-notch racing instincts but his E21 may not have the raw power needed to start from the front in most races. A front-row start can be crucial to the chances of winning a race, despite combustible tyres and other factors, and even the most consistent drivers may not be able to catch up with the pace-setters, as Alonso painfully learned last year. Lotus also completed the least number of laps in pre-season testing, although that’s never a clear indicator. Even the much-talked about “passive double-DRS” has yet to be properly used within a race. Boullier & co may have to learn that ideas without action end up becoming regrets. While Raikkonen’s third-place finish might have come as a pleasant surprise, the pressure will be on to repeat or even better that this year. With a good, but not spectacular, car the only person who can help his team achieve that is Raikkonen himself. Only if he cares to, of course. There’s no way I’m going to agree with a text which states that Kimi can’t win the 2013 WDC. Anyway, nice text, but I am objectively honest – Kimi CAN WIN WDC this year! The article is very accurate indeed. The E21 does not have the raw power it needs to beat the likes of the others, like Red Bull. Also, as great as Kimi is as a driver, he just doesn’t push the envelope to the max either. We saw this last year in a number of races. He is overly cautious. What he needs is a car with lots of power on tap – “Give me more power!” – but he will not get that at Lotus. Ideas without action end up becoming regrets. We saw last year that front row starts from Lotus didn’t exist. Without those crucial starts, Lotus aren’t going to be a threat in 2013 either. Bottom line. What only matters, is at least another championship for Kimi! He doesn’t have anything to prove especially after this season! A title – especially with Lotus – is the case! Face it, Kimi does not have the equipment suited to outrun the Bulls, not yet. However, it seems he is slightly quicker than last year at this time judging by practice in Melbourne. It will no doubt all come down to strategy – and of course one lap qualifying.